Americans will vote for communities to win a total of $425,000 in arena upgrades beginning April 14. NORTHFIELD, Ill. – April 11, 2015 – Hundreds of communities across the country have shown their hockey spirit and passion by nominating their local rinks for the esteemed title of "Kraft HockeyvilleTM USA," and the chance to host an NHL Pre-Season Game in their local community. Launched in the United States for the first time on January 1, in partnership with the National Hockey League Players’ Association (NHLPA), National Hockey League (NHL®), NBC Sports Group and USA Hockey, Kraft’s Canadian-born program captured the nation, reaching communities in all 50 states, with 1,324 rinks nominated and 18,388 unique story nominations. The top 10 communities will share $425,000 in arena upgrades from Kraft. Decatur Civic Center – Decatur, Ill.
St. Michael Albertville Arena – Albertville, Minn.
Rushmore Hockey Thunderdome – Rapid City, S.D. Pickwick Ice – Burbank, Calif.
Quincy Youth Arena – Quincy, Mass. Cambria County War Memorial Arena – Johnstown, Pa.
Highgate Sports Arena – Highgate, Vt. Healthy Zone Rink – East Aurora, N.Y.
Pullar Stadium – Sault Sainte Marie, Mich. The grand prize winner will be announced on NBC on May 2 and receive the grand prize opportunity to host an NHL® Pre-Season game televised on NBCSN and $150,000 in arena upgrades from Kraft. 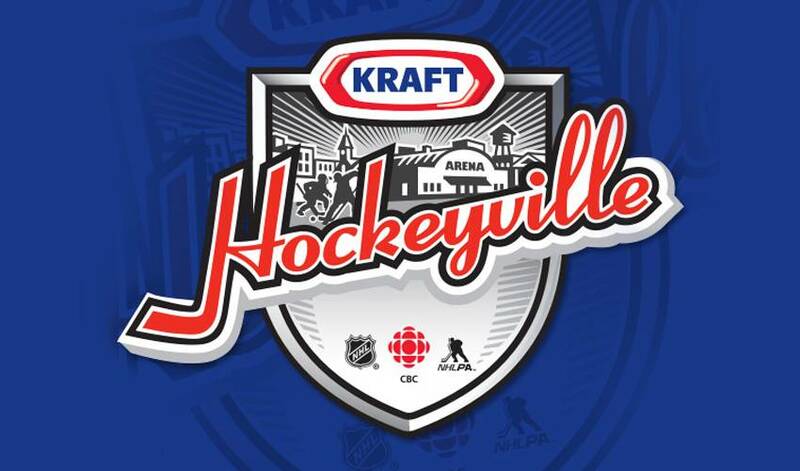 For voting rules and complete program details, visit www.KraftHockeyville.com. Kraft HockeyvilleTM USA can also be found at Facebook.com/KraftHockeyvilleUSA and on Twitter (@HockeyvilleUSA). You can join the conversation using #HockeyvilleUSA.